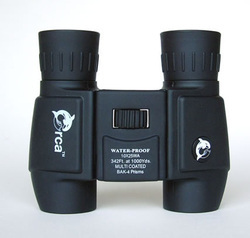 Ordering binoculars personalized with company or corporate events in mind is startlingly easy and surprisingly affordable. And it's the corporate gift that will keep you in their minds. 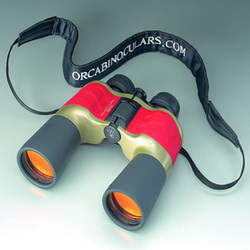 Your corporate logo or company URL - or whatever else you'd like - can be reproduced on the padded neck strap, lens cap covers, the included binocular pouch or - if time and budget allow - even on the body of the binoculars themselves. 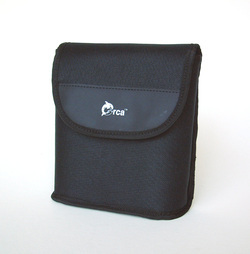 Your clients and employees will continue to use their high quality Orca binoculars long after they've received them. With your logo in plain view, thoughts of your company will never be far from thier minds. Orca quality is second to none. You can depend on Orca for quality, customer service and support. Logo on binoculars available on orders over 200 pair. No additional charge for silkscreened logo. Additional setup charge for embossed logo. Additional charges for special body colors. 50% deposit required on all orders, remaining payment due 30 days from delivery.